Within Teamwork Desk you can sort the spam folder by spam score, turn off spam detection on a per-inbox basis and set the spam threshold per inbox. To navigate to your spam settings, click on the your profile icon to the top right of the navigation bar and select Settings. 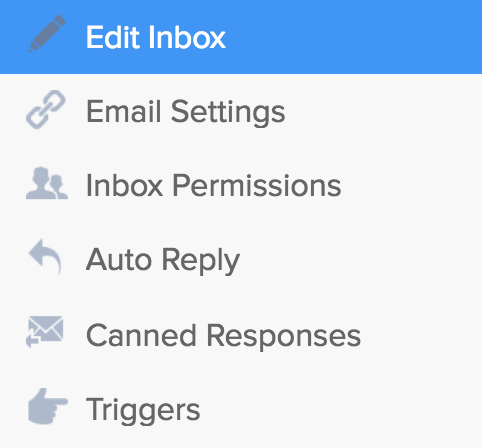 Select the inbox you wish to set the spam control on and choose Edit Inbox within the left pane. Here you will find the options for spam threshold. Choose the threshold for which mails will be marked as spam, if the mail received spam rating is higher than your threshold it will be marked as spam.